Process Instrumentation & Controls code printing machine or auto coder is for on-line printing on corrugated cartons, paper bags, cement / asbestos etc. which move on continuous conveyor. It does automatic registered coding of packaging information on cartons moving on automatic conveyors or taping machines. It is equipped with a tension spring that returns the marker to its zero position after every stroke. In the process the type gets re-inked as it passes below the ink roller and is ready for use again. Individual alphanumeric type provided to compose almost any type of information that you wish to mark. The Process Instrumentation & Controls-Auto Coder is an excellent alternative for the expensive and complicated large character DOD printers. It gives good impression quality at very reasonable prices and minimum botheration. A set of individual alpha-numeric types that can be used to compose almost any information to be marked, is also available. Type sets are available in size 3mm, 4mm, 5mm, 6mm, 8mm, 12mm, 14mm, 20mm, 25mm, logos emblems, monograms etc. can be made to order as per the design and artwork. Process Instrumentation & Controls has have achieved expertise in manufacturing and supplying Carton Coder which is tested for quality at each stage of production, such that flawless variety of Coders can be supplied to the market. Carton Coder manufactured by the company is in demand for outstanding user-friendly applications, simple operation and durability features. The range of Carton Coders is offered to the clients at competitive market prices within a predetermined time-frame in secured packing. We are the preferential choice for obtaining quality Carton Coders. 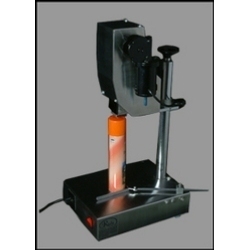 The Process Instrumentation & Controls - Hand Operated Roller Coder we offer is a cost-effective, versatility machine which reduces the need for pre-printed stocks, thus reducing inventory. The range of Hand Operated Roller Coders is offered to the clients at competitive market prices within a scheduled time-frame in secured packing. Clients can avail from us Automatic Carton Coder (Conveyor mounted) which is particularly designed for marking exact area on Cement Bags, Plywood Sheets, Corrugated Cartons, etc. The Automatic Carton Coder is made attuned to any carton sealing / tapping systems. 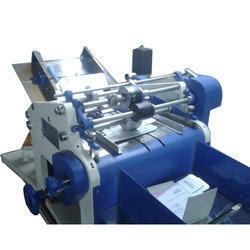 Automatic Carton Coders are in huge demand for its effective operation thus accelerating the marking process. Leveraging on our industrial experience, we are able to offer Code Printer Machines, which is ink based high precision coding instrument used for stamping of varied information. These printers have found a wide usage in number of industries owing to their efficient functionality. Moreover, clients can avail these printers in varied sizes depending on their specifications. Our firm holds an expertise in offering an exquisite range of Online Carton Coding Machines. These machines are manufactured using premium grade raw material and latest techniques & methodologies. 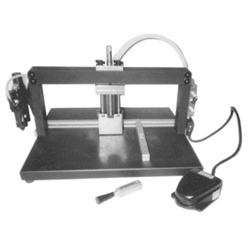 Moreover, incorporated qualitative features like efficient functionality, sturdiness and fine finish, these coding equipment offers good stamping quality, applicable on following surfaces. We are leading manufacturer and also in exporting of Code Printing Machine, dry ink coding machines, industrial ink coding machines and batch printing inks and coding machines. Engaged in supply and export of coding machines, electromechanical contact coding machines, manual coding machines, automatic coding machines and microprocessor based coding machines. We also deals in marking printing ink, batch coding machines, coding ink, batch coder, hot ink roll, coding machine and stamp marker/coder. 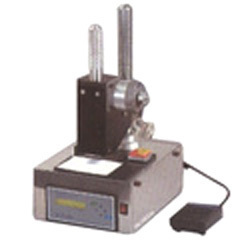 We have emerged as an eminent firm engaged in offering qualitative range of Batch Lot Marking Printer. Beneficial in printing various information like batch no., packaging & expiry dates, prices and more. Moreover manufactured using advance techniques, these machines offer excellent functionality. Designed and manufactured by our team of immensely skilled experts, we are able to offer a comprehensive range of Stamping Coder Machines. These coders are widely applicable in marking of coding on various packed goods that helps in easy identification of the goods and also increases their visual appeal. Clients cam easily avail these coders from us at market leading prices. Looking for Carton Code Printing Machine ?